North Carolina is one of several states in which it is now illegal to leave your pet locked in a hot car. Studies have shown that in just a short amount of time the temperature inside a car, even on a seemingly cool day, can soar to surprising levels. 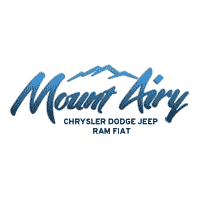 At Mount Airy Chrysler Dodge Jeep Ram Fiat, we know that there are many others who, like us, enjoy taking their four-legged friends out on the road. We hope the proper precautions will keep all family members safe and happy. 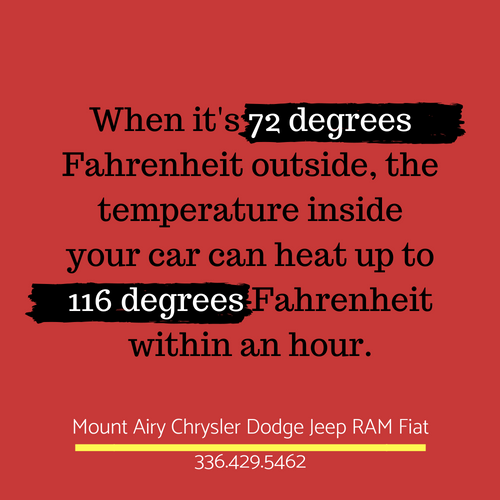 How do we at Mount Airy Chrysler Dodge Jeep Ram Fiat know this is true? Because we spend A LOT of time with cars! Just imagine how we feel getting into an all new Ram 1500, Dodge Journey, or Jeep Cherokee that’s been sitting out on the lot on one of these hot summer days. While we’re always excited to show you features like power windows and a sunroof, we also just want to let some of all that hot air out of the vehicle. 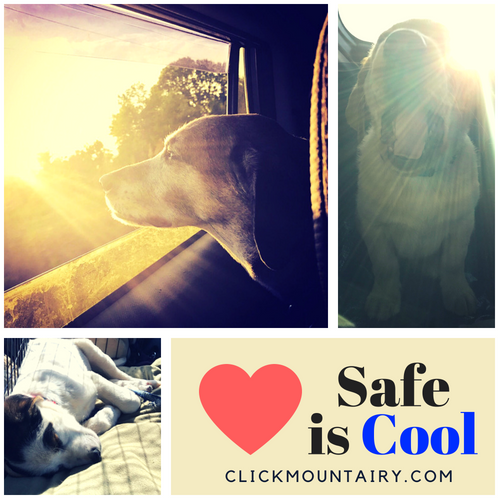 We know that it may seem like second nature to put the dog in the back of the pickup truck and go out for a ride, but the fact of the matter is that it’s not safe. And your dog’s habit of hanging its head out the window? While it seems like fun, it too can pose a hazard due to wind speed damaging the respiratory system, tree branches or other road-side growth striking an eye, or even a wayward paw rolling the window all the way up. According to the American Kennel Club’s Canine Health Foundation (AKCCHF), dogs can suffer dehydration, heat exhaustion, heat stroke, and sudden death from cardiac arrhythmia. Although a dog’s normal temperature is around 101 degrees, just a two degree internal temperature increase can start to threaten their well-being. The physical signs over overheating for a dog are not unlike the physical signs for a human. Dehydration frequently accompanies overheating. Severe dehydration may require IV fluids to treat. These physical signs clearly indicate that your dog is not feeling well. Any heat-related condition, if severe and prolonged enough, can result in organ damage. Hospitalization may be required. The AKCCHF notes that dogs kept outdoors or used during hunting may also be at risk. Plus, just because the heat is gone that doesn’t mean that the danger is gone too. Cats, despite their love for a nap in the sun, also can overheat. Their physical signs are very similar to a dog’s. A cat’s normal body temperature also is around 101 degrees, but anything over 102.5 can become threatening. Kittens are more susceptible to overheating that adolescent or adult cats. You may not take your cat for a ride on the regular, but it’s worth remembering cats-in-cars safety tips for trips to the vet or moving. And don’t forget that pets CAN get sunburned! Animals with pale skin, particularly those with white fur, can burn just like humans. A bit of sunscreen on the tips of the ears or a pink nose is okay to apply — just choose a sunscreen you would be willing to put on yourself or your child. Consumer Reports offers a sunscreen buying guide online. Do you know what to do if your pet does have a heat-related illness? If possible, take your pet’s temperature. Using a rectal thermometer, obtain a reading and report the information to your vet. Cool your pet down. Damp towels over a dog’s neck, under its armpits, and between his hind legs can start the cooling process. Pour cool water over a dog’s ears and on its paws also helps. If you’re outside, make use of bodies of water like streams or lakes. Provide cold water to drink. Never force an animal to drink as it may result in choking. You can however gently pour cold water over an animals’ mouth and tongue. Don’t give ice! Ice may cause a shock to the system. Head to the vet. Call ahead to let the vet know about your emergency situation. If you’re traveling, seek out an emergency vet clinic. First responders like police and medics may be able to help you find one. Now that you know more about how to keep your pets safe, why don’t you join us in appreciating a few of the great animal-related car commercials from over the years? We hope to see you — and your four-legged friend — at Mount Airy Chrysler Dodge Jeep Ram Fiat soon! 0 comment(s) so far on Don’t Leave Your Pet In The Car!